Fashion today is constantly moving forward, requiring continuous adaptation to keep up with its transforming trends and evolutions. Since 1830, the AICP has succeeded in adapting to fashion’s rigorous demands by updating its techniques and clothing construction methods in patternmaking, draping, geometric construction, grading and quality control. 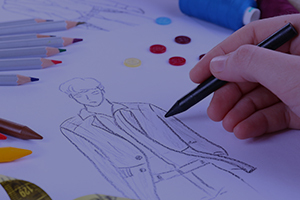 Our training portfolio includes modules for beginners to established professionals; allowing them to work side-by-side with fashion designers; to translate their creativity into concrete, reproducible wardrobe pieces, perfect in fit and form. AICP graduates are equipped to work in the world’s finest fashion houses: in the fabrication of collections, in clothing construction or in the design and elaboration of their own line of clothing. Since 1971, the AICP’s training modules have been certified by the French government. 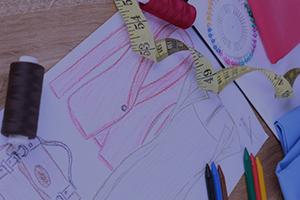 Using its exclusive construction methodology (in patternmaking and draping), the AICP trains clothing specialists in menswear, womenswear, childrenswear; and in all aspects of the clothing and apparel industries. Technical designers, drapers, patternmakers, graders; whether working for local tailors or dressmakers, or in mass clothing manufacturing, ready-to-wear or haute couture-everyone can benefit from the Vauclair-Darroux’s exclusive formulas in clothing construction. The Vauclair-Darroux method was initially developed to respond to the needs of local artisan tailors and dressmakers and then adapted to the global demands of the ready-to-wear industry. The mathematics and geometry behind our state-of-the-art clothing construction formulas have evolved to simplify pattern construction and resolve fit, style and cut issues with efficiency and ease through modernized techniques in grading, alterations and transformations. 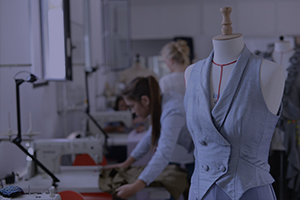 For the last 180 years the AICP has been managed by a highly-qualified team of experts in patternmaking, draping, technical fashion design, from some of the most famous design houses and clothing manufacturers. Many of our graduates have become successful apparel professionals, citing the AICP as the number-one reference in the industry. 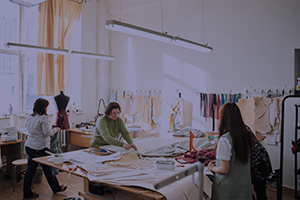 The AICP’s diverse and multi-faceted expertise in fashion media, style and trend forecasting, range and garment development, consulting services and garment construction techniques; create the ideal educational facility to understand and competitively prepare for the clothing industry.